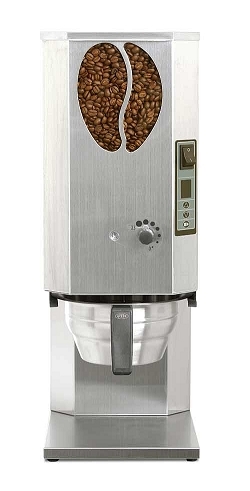 Drogheria is coffee grinder engineered for the sale of loose coffee. Thanks to the handy pipe union with enclosed bag support, the operator can quickly supply the customer with the required quantity and of ground coffee. The pratical graduated knob allows to change in an easy and safe way the desired grinding, without time and coffee waste. 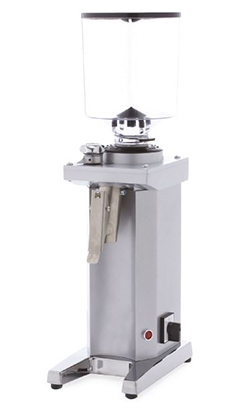 Its compactness, its distinctive design and simple features make Drogheria the ideal grinder for coffee shops and other places where the grinding has to be performed instantly and at the customer’s presence.